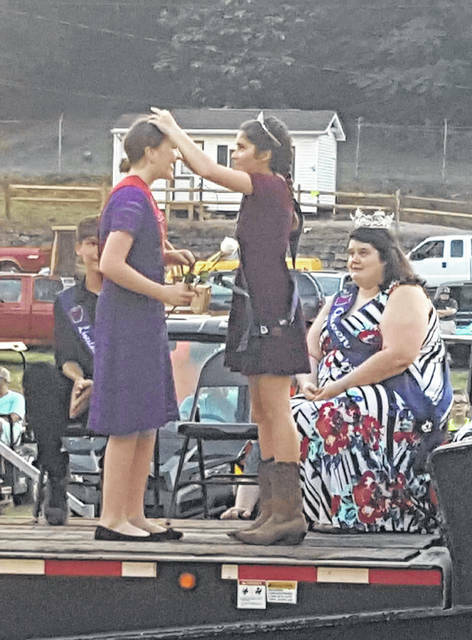 The 2018 Meigs County Fair Queen Mattison Finlaw is crowned by the 2017 Queen Michaela Holter. 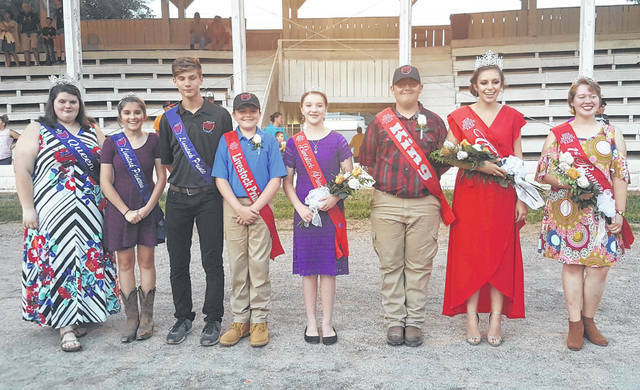 The 2017 and 2018 Meigs County Fair Royalty are pictured after Sunday’s opening ceremony. Pictured (from left) are 2017 Fair Queen Michaela Holter, 2017 Livestock Princess Rachel Jackson, 2017 Livestock Prince Cooper Schagel, 2018 Livestock Prince Matthew Jackson, 2018 Livestock Princess Raeann Schagel, 2018 King Austin Rose, 2018 Queen Mattison Finlaw, and 2018 Queen First Runner-Up Raeven Reedy. Roma Sayre of Home National Bank presents a scholarship check to Queen Mattison Finlaw and King Austin Rose. 2017 Livestock Princess Rachel Jackson crowns 2018 Livestock Princess Raeann Schagel. 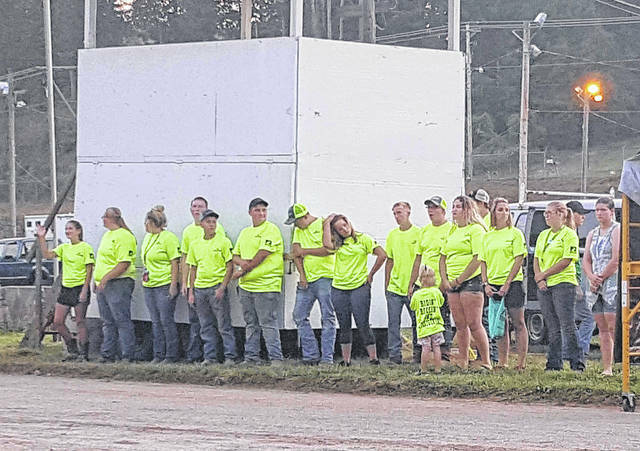 Gallia County Fair royalty took part in the Junior Fair Parade. Livestock royalty candidates Matthew Jackson and Hannah Jackson throw candy to parade watchers. 2017 Livestock royalty Rachel Jackson and Cooper Schagel throw candy to parade watchers. The Junior Fair Board members were recognized during the opening ceremony. Boy Scouts carry the American Flag along the parade route. The Country Pioneers 4-H Club rides in the parade. Meigs County Girl Scouts were among the parade participants. King Austin Rose is pictured with 2017 Queen Michaela Holter. https://www.mydailysentinel.com/wp-content/uploads/sites/14/2018/08/web1_Photo-Page-1_ne201881316417342.jpgThe 2018 Meigs County Fair Queen Mattison Finlaw is crowned by the 2017 Queen Michaela Holter. 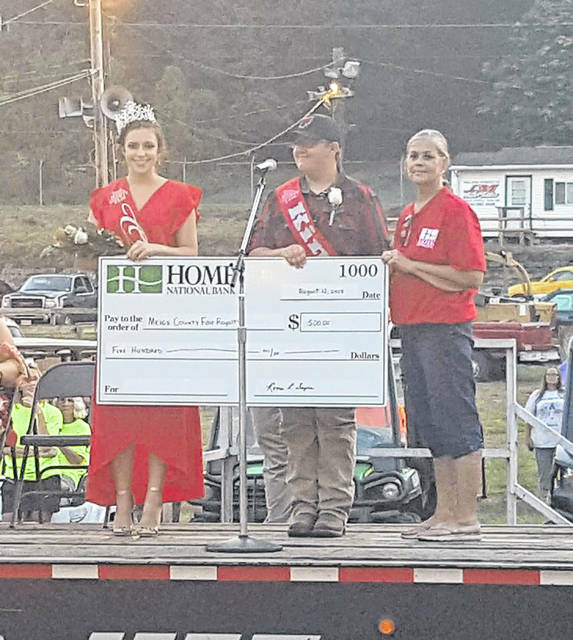 https://www.mydailysentinel.com/wp-content/uploads/sites/14/2018/08/web1_Photo-Page-2_ne201881316420772.jpgThe 2017 and 2018 Meigs County Fair Royalty are pictured after Sunday’s opening ceremony. Pictured (from left) are 2017 Fair Queen Michaela Holter, 2017 Livestock Princess Rachel Jackson, 2017 Livestock Prince Cooper Schagel, 2018 Livestock Prince Matthew Jackson, 2018 Livestock Princess Raeann Schagel, 2018 King Austin Rose, 2018 Queen Mattison Finlaw, and 2018 Queen First Runner-Up Raeven Reedy. https://www.mydailysentinel.com/wp-content/uploads/sites/14/2018/08/web1_Photo-Page-3_ne201881316422853.jpgRoma Sayre of Home National Bank presents a scholarship check to Queen Mattison Finlaw and King Austin Rose. 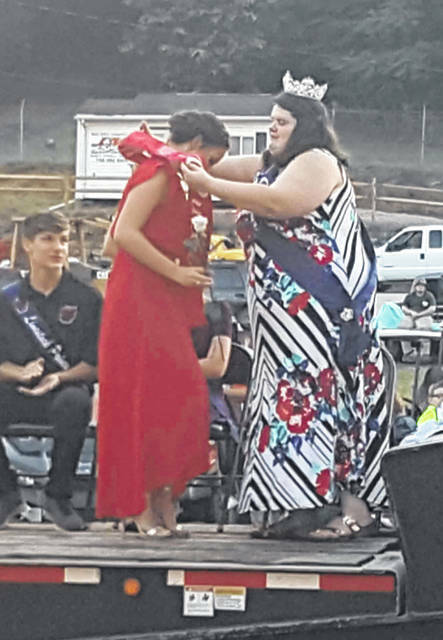 https://www.mydailysentinel.com/wp-content/uploads/sites/14/2018/08/web1_Photo-Page-4_ne201881316425643.jpg2017 Livestock Princess Rachel Jackson crowns 2018 Livestock Princess Raeann Schagel. 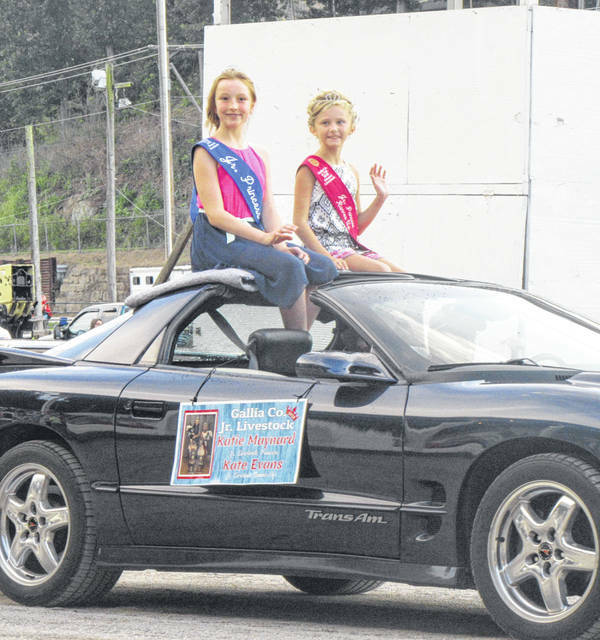 https://www.mydailysentinel.com/wp-content/uploads/sites/14/2018/08/web1_Photo-Page-5_ne201881316428699.jpgGallia County Fair royalty took part in the Junior Fair Parade. 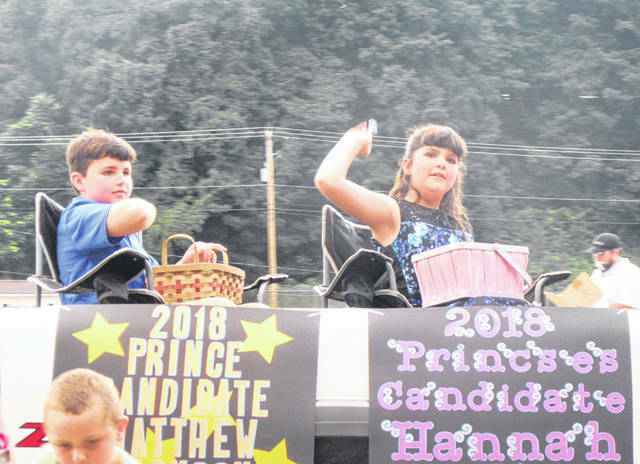 https://www.mydailysentinel.com/wp-content/uploads/sites/14/2018/08/web1_Photo-Page-6_ne201881316431402.jpgLivestock royalty candidates Matthew Jackson and Hannah Jackson throw candy to parade watchers. 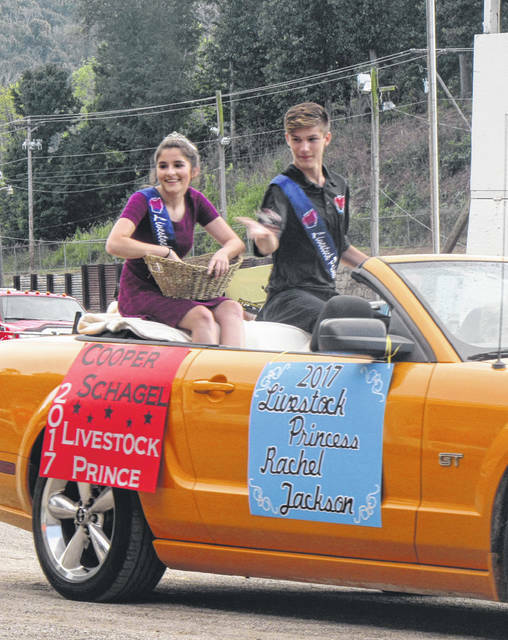 https://www.mydailysentinel.com/wp-content/uploads/sites/14/2018/08/web1_Photo-Page-7_ne201881316433625.jpg2017 Livestock royalty Rachel Jackson and Cooper Schagel throw candy to parade watchers. https://www.mydailysentinel.com/wp-content/uploads/sites/14/2018/08/web1_Photo-Page-8_ne201881316436888.jpgThe Junior Fair Board members were recognized during the opening ceremony. 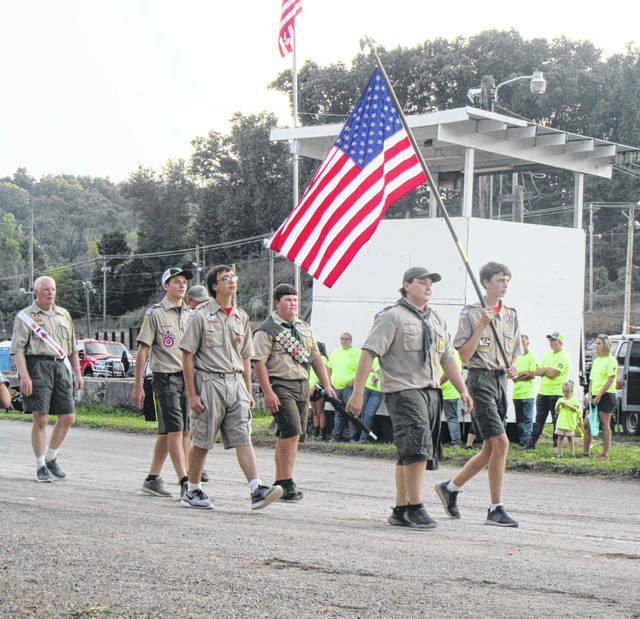 https://www.mydailysentinel.com/wp-content/uploads/sites/14/2018/08/web1_Photo-Page-9_ne201881316439150.jpgBoy Scouts carry the American Flag along the parade route. 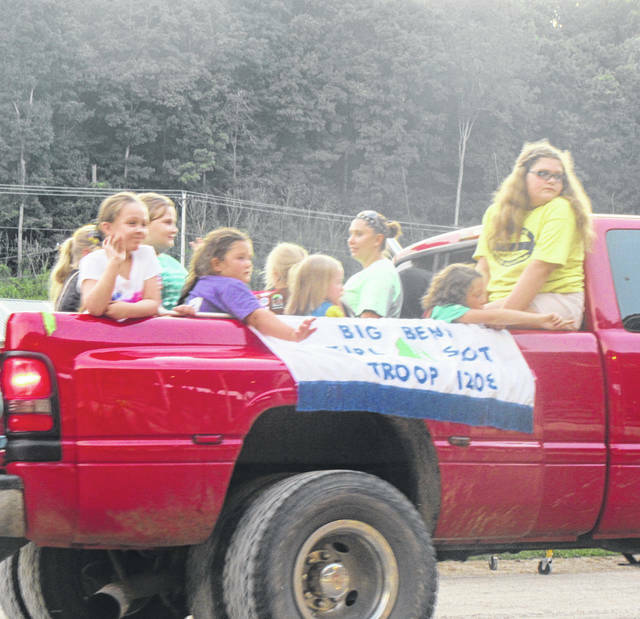 https://www.mydailysentinel.com/wp-content/uploads/sites/14/2018/08/web1_Photo-Page-10_ne201881316441687.jpgThe Country Pioneers 4-H Club rides in the parade. 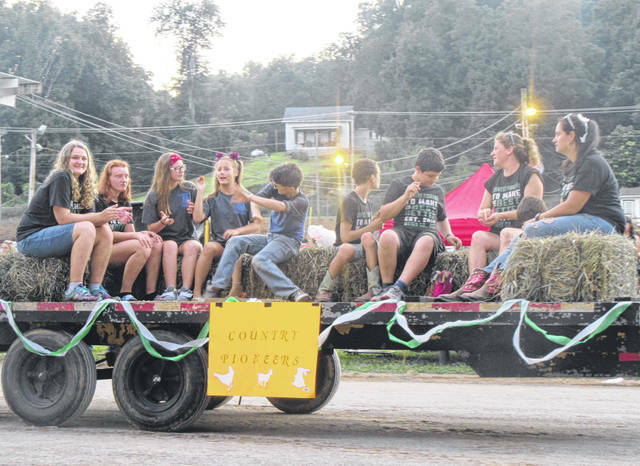 https://www.mydailysentinel.com/wp-content/uploads/sites/14/2018/08/web1_Photo-Page-11_ne201881316443952.jpgMeigs County Girl Scouts were among the parade participants. 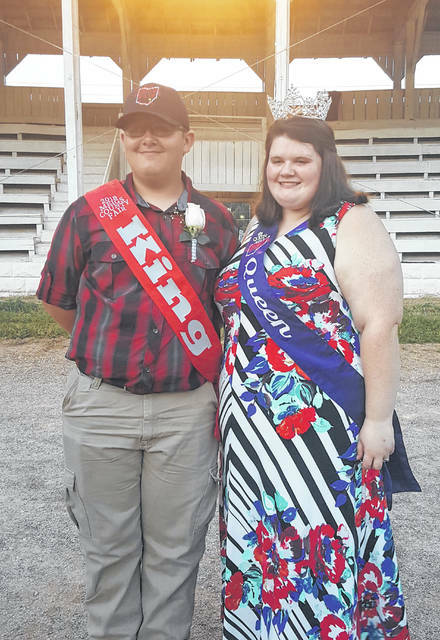 https://www.mydailysentinel.com/wp-content/uploads/sites/14/2018/08/web1_Photo-Page-12_ne201881316447120.jpgKing Austin Rose is pictured with 2017 Queen Michaela Holter.